Today we speak to our hilarious new illustrator, Alex Willmore. The creator behind a new greeting card collection for Ohh Deer, he’s definitely the man for movie puns! As a winner of our recent card competition “Go Card Or Go Home” – we discuss his well-deserved win and how his brilliant new range came about! Over at Ohh Deer we currently have our annual Pillow Fight competition. Can you tell us a bit about how our previous competition “Go Card Or Go Home” helped you generate such an incredible range! Oh thank you :) I had just taken the plunge to leave in-house employment and I noticed the Go Card or Go Home comp. I already knew about it as a good friend of mine had previously had success with it so I thought I’d give it a bash too. I’m a sucker for lovely design and a great pun and there were already plenty of fantastic entries by the time I decided to enter! I could have happily bought them all so to be honest so I wasn’t holding my breath for a win… I was so pleased to have been shortlisted. It’s a great feeling to be picked out of a crowd of designs you personally love. I think ultimately by the time I entered, the competition was so already so strong that it helped me to really produce a design I was truly happy with. It’s great that other entries pushed you to create even stronger designs! What was the initial idea that made you put pen to paper with ‘Captains Log’? I think the initial concept came really from being incredibly childish. Growing up watching Star Trek: The Next Generation with my cousins, the concept of the ‘Captain’s Log’ was one of unending joy for us. It’s just too easy to chuckle at! We did definitely giggle! When it comes to designing a winning range, what are your top tips to make the range sit together and look as one on the shelves? I’d be inclined to agree with you on that one. Picard being interrupted while having a poo brings a smile to my face. 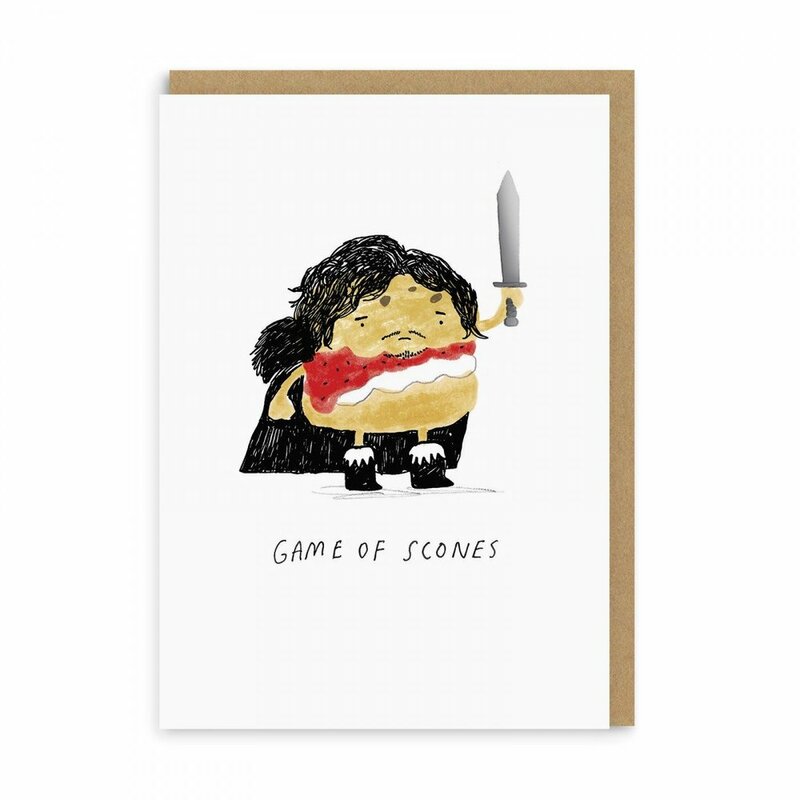 Although I’m really happy with how ‘Jon Scone’ turned out. It was quite hard making a cake product look like Kit Harington. We love any product looking like Kit Harington to be honest. Can you tell us a bit about your illustration background and how you’ve grown to be the creative you are today? We love your wonderful children’s books and quick doodles! Thank you so much! Like all creatives I’m sure, I’ve been drawing since I could pick up a pencil. Characters have always fascinated me and as a child I would constantly be creating my own. One of my favourite childhood memories is growing up with my cousin (also now a designer and illustrator), we would put down huge sheets of paper on the living room floor and start drawing these little characters we affectionately referred to as the ‘egg heads’. It would start out as just a few of them and hours later by the time we had finished we would have drawn an entire town for these things. Drawing just for fun is always the best. I decided at some point that I wouldn’t pursue a career in illustration as at the time the world seemed to want you believe it was a pipe-dream and you should get “a proper job”. A few years after I finished college I was in a bit of a rut and it was my mum who told me she’d found a cool uni course in Illustration for Children’s Publishing. This was amazing! It really made me feel like there was an actual way to make a living through art. It’s also where I met my wife who was studying the same course. We’ve worked on a few projects together since and having someone who loves art and design with you at all times makes it easier. We have a small studio at home and love working through the night together with good ol’ Netflix on in the background. 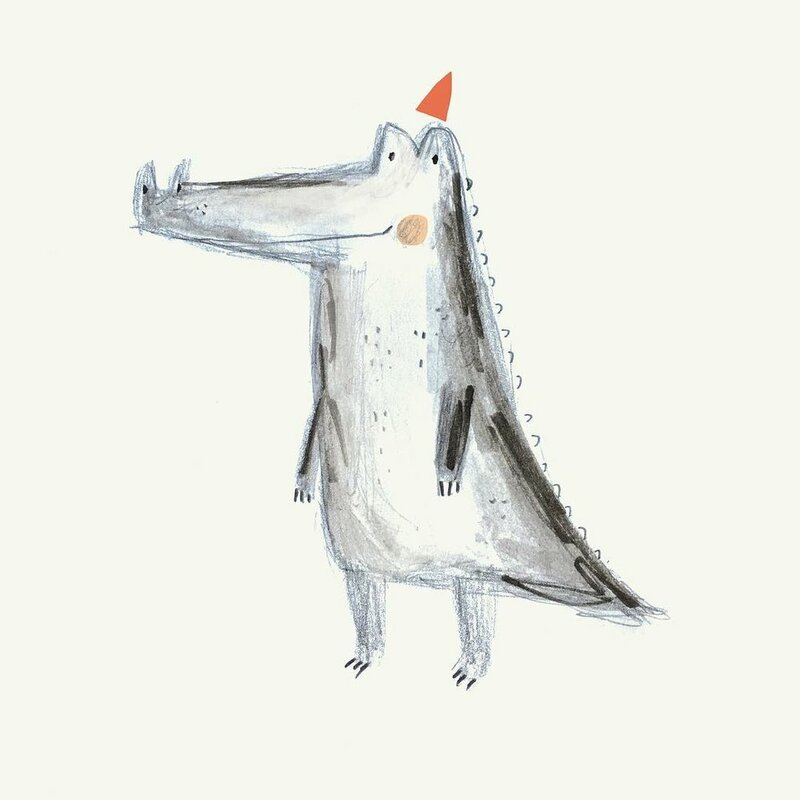 Today I make my living through picture books, stationery, greeting cards and kidswear. Honestly I couldn’t be happier about this! 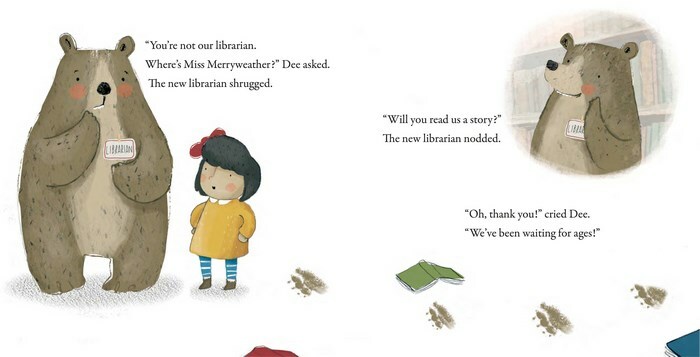 The New Libearian by Alison Donald from Maverick Arts Publishing was my first picture book and is still really special to me. I had so much fun illustrating it but was also working a full time job at the time so it was a real ‘all hours labour of love’. When my wife and I were in hospital waiting for our son to be born, I managed to squeeze in a few sketches for the book then too. It was also the first book I read to my little lad so that’s really special for me. Yeah, I’d have to say it’s that piece. I had loads of fun illustrating the work Alison had created and loved shaping the bear character. I do love drawing bears. Bears are great aren’t they. Finally! If you could go back in time and give your past-self one piece of advice, what would it be? Hmmmmm… tough. Maybe… and without wanting to sound mega cheesy… follow your dreams or some less nauseating version of that sentiment? It took me a while to get to what I wanted to be doing in life. That being said… I’ve had a hell of a lot of fun along the way and can honestly say I have few regrets. Actually, yeah, scratch that… I don’t know… I don’t think you should mess with the past really. I’ve seen too many films where things go bad. I’d probably just leave it to be honest.